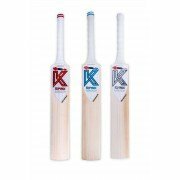 Kippax Cricket Bats from All Rounder Cricket - NEW For 2017! - The Biggest Bats currently available on the Market Worldwide!! One of the Biggest Bats currently available on the Market Worldwide!! Utilising Supersize Clefts allows us to make Equipment which is HUGE! Simply Stunning Cricket Equipment that you will not find anywhere else!